For this post, CAPC interviews Bob Parker, DNP, CENP, CHPN, Corporate Director of Palliative Care at Interim Healthcare. CarePoint is one of three home-based divisions of Falcon Healthcare, a franchise of Interim Healthcare located in Texas and New Mexico. CarePoint covers five Texas locations: Waco, Temple, San Antonio, Lubbock, and Amarillo. Expansion sites are scheduled for 2017. CarePoint is a nurse practitioner-led specialty provider palliative care practice supported by nurses who provide supportive care services. The program cares for individuals diagnosed with chronic progressive and complex illnesses who are likely to be in their last several years of life. Services are provided in a variety of care settings that include the patient’s home or group home, assisted living or skilled nursing facilities. In some areas, services are also provided through rural community-based hospitals that do not have inpatient palliative care consult teams. CAPC: Tell us about the history of the CarePoint palliative care program. How did you go from being an organization that offered home health and hospice services that expanded to provide palliative care? Bob: Jim Bullard, Interim’s owner, wanted to move beyond a home health and hospice designation to become an integrated health care organization. When I first met with Interim in 2014, their initial focus was on how to take their home health bridge program and make it stronger, make it successful, and keep it sustainable. They had tried several times, housing it in both the home health and hospice programs, but it never really gained traction as they never had a champion. When I talked to them about community-based palliative care in a much broader way as a way to thread services together and provide more comprehensive support that really sparked their interest. From those conversations, Jim saw that creating a palliative care service that was its own division was a better way of meeting the organization’s goals. Once I was hired, I started educating our nurses, our referral sources – everybody, that home-based care is much bigger than the silos we had been operating in. That’s really how the program got started. CAPC: Are the programs run as three separate business units? How was that operationalized? Bob: Correct. We have the three separate divisions (hospice, home health and palliative care) – in addition to private duty and state Medicaid programs. With the CarePoint palliative care program, we integrate the principles of palliative care so that we do a better job of maintaining and supporting patients across the continuum of care. CarePoint’s infrastructure, office space, phones, receptionists, etc. is financially and operationally supported by our home health and hospice divisions. The only expense the palliative care program has is staff salaries. We didn’t want or need to create a separate division with all the administrative staffing that would go with it – for example, we didn’t hire a new person to answer the phones. This structure is a core benefit because our only overhead is clinical staff. CAPC: Your organization has a presence in several different markets across Texas. Is it ever the case that your palliative care program is the only Interim service in a new region? Or do you expand CarePoint palliative care into markets where you are already operating hospice or home health services? Bob: When we bring CarePoint into a new location, it is a place where we already have home health and hospice – so palliative care is an adjunct to services we already provide. That means we already have good referral sources in the area. The neat thing is that when we do bring the program in, we are generally the only palliative care program in the area and our referrers latch onto it immediately. This really allows Interim to differentiate ourselves within the community and signal that we are doing something very different in how we care for patients. CAPC: How do you evaluate a new region? How do you know whether or not it’s the right time to enter? Bob: We look at our existing services in the region and ask: Are they financially healthy? Do we have good census, good referral sources? Will we have stability in staffing? Do we have strong clinical leadership? CAPC: Who refers patients to the CarePoint palliative care program? Bob: We receive referrals from everyone. Patients and families call us, physician groups, hospitals, nursing homes, our home health agency and others refer patients to us, and hospice patients who are being live discharged are referred to us. My team takes on the role of community case manager – they are the ones helping the family to understand the differences in care between different programs, helping them understand their prognosis and disease trajectory, and initiating advance care planning conversations. This communication is ongoing as my staff works with the patient and their family to ensure that we know their preferences and goals for health care over time. 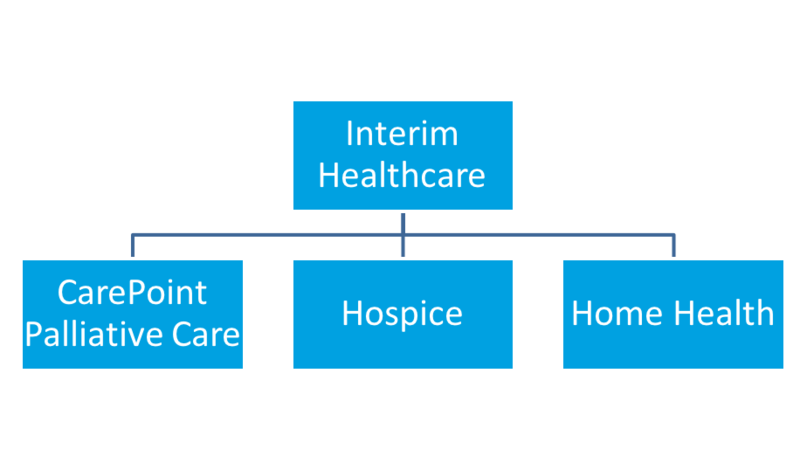 With home health and hospice, there are rules and regulations which specifically define how the benefit is administered. With palliative care, we can be more fluid across the continuum of care through medical and supportive management that are matched to a patient’s care needs when they do not qualify for hospice or home health benefits. CAPC: Once you’ve decided to enter a new region with the palliative care program, can you give an example of who you might reach out to as potential referral partners? Bob: For a program to be solid and sustainable, one of the most important referral sources is an acute care partner. You absolutely need that hospital or hospitals in your community with whom you can partner. If they already have a palliative inpatient program, you can become a community extension for them so they know that somebody is picking up the banner when that patient walks out the door and is continuing the work that the hospital team started. Hospital partners are hugely important as well as physician practices. I spend a lot of time talking to physicians – asking who they are thinking about, who they are worried about, who is keeping them up at night. I discover what’s going on and then present what we can do in a way that meets the needs for that particular gap. Depending upon whether you’re talking with a hospital, nursing home or physician practice, there will be different regulations that govern how they practice and different goals or outcomes that they are working towards. So when I message back to a referral source, it’s really based on their needs – working with an LTAC is very different than working with a hospital or nursing home. For example, nursing homes really want to help their patients stay out of the hospital, so I try to explain how CarePoint can work for them to support that goal. That conversation is different based on the needs of each care setting. CAPC: You mentioned that you do a thorough needs assessment with local providers if you move into a new market. To what degree do CarePoint palliative care services vary from market to market? Bob: The services that we provide are the same, but the ways in which CarePoint nurses and nurse practitioners are integrated into the community are different for each program. Our home health and hospice staff, Interim social workers, chaplains and volunteers provide additional supportive services to the CarePoint palliative care team according to what’s needed. They don’t necessarily go out and see patients, but they do provide a link to community resources. If patients are having social issues or spiritual issues, they are there to help the nurse practitioner and the nurse figure out what’s in the community that can be pulled in. For example: in our Lubbock agency, the majority of our census are individual patents in their own homes, whereas in Waco, we originally had a high percentage of nursing home residents because we had more referral relationships with nursing homes in that region. We are now getting more home patients because we have a strong relationship with the hospital systems, so the home-based side is growing exponentially even though we started out with a program designed around nursing homes. Another factor is ‘setting-specific’ regulations. We ask; ‘How do we impact our referral partners in a positive way without creating additional hurdles?’ If we are in a location where the county hospitals really don’t have the resources for specialty palliative care, we can credential our nurse practitioner into the hospital where they can provide consultation services. As an example: The Joint Commission requires consultations to occur within 24 hours, so we make sure we do those consults in a timely fashion so we don’t create a problem for the hospital. CAPC: How do you explain to patients what kind of service CarePoint palliative care provides? Bob: If patients are confused or they are not sure what Carepoint is, the team helps them understand how our services can be an extra layer of support based on their goals, preferences and medical needs. If their goal is to stay out of the hospital, we give them options for how we could work toward that. Sometimes it actually doesn’t make sense – if the patient already has the support they need, we don’t want to duplicate! It can be confusing to patients and referral sources when we try to describe CarePoint as another Interim program that we offer. I do a lot of education internally with staff to describe our services as an extension of ourselves. Instead of saying “We have home health, we have CarePoint palliative care, we have hospice,” and then trying to explain all of that, we simply tell patients “As part of our home health services, we have a nurse practitioner who can come out and provide medical support to you in collaboration with your doctor.” First and foremost, I want the opportunity to get in front of the patient to figure out what they need. 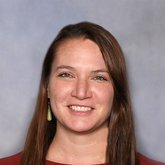 CAPC: Is it the case that your staffing plan needs to be unique to each region? Bob: Not so much. In any of the programs, the staff has to be nimble and know the appropriate protocols from setting to setting. That is a need that is consistent for every region we’re in. Typically we hire a nurse practitioner and a nurse to start with and then as we grow, we add more nurse practitioners and nurses to that census. Sometimes we start with just one nurse. If there is not as much medical need immediately present or we are not sure how quickly the program will take off, we start the nurse out to get things moving and demonstrate what we can do. CAPC: How do you find and train new staff? Bob: If someone is already specialized in palliative care, that is a great thing, but in some areas we don’t have that. I look for staff who have experience working in the community. Most of our nurses have hospice or home health experience. New staff from different backgrounds have different needs for training – we’ve found that nurses who have a strictly home health background can have a difficult transition into care plans that are not always focused on cure. Similarly, for nurse practitioners who are coming from the hospital, we focus training on how to help patients stay at home when possible, rather than turning first to the Emergency Department. Once they are hired, CarePoint staff are required to get certification in palliative care if they don’t have it already. CAPC: By what metrics does Interim leadership measure a new program? Bob: Looked at in isolation, CarePoint loses money. It’s designed to break even, and as we mature, my experience is that we will actually add to the bottom line. So one of the metrics is the degree to which we cover the salaries of the nurse practitioner and the nurse through billing mechanisms – all driven by productivity and maintaining efficiency. We also monitor whether CarePoint improves or helps to improve quality outcomes for home health and hospice – with home health, our key metric is star ratings. We also look at how we impact patient referrals to home health and how we help appropriate patients access hospice services. The goal is for patients to transfer to hospice early enough so that they will benefit from what hospice service has to offer. I track all of CarePoint’s hospice conversions whether they come to our hospice or not. Not every patient on CarePoint palliative care comes to our hospice and not every patient we serve goes back to our home health. I also work in the community with other home health agencies that don’t have a hospice, because conversion of clinically eligible patients to hospice is very important to our leadership. I develop partnerships with other home health agencies and as part of that relationship, if they refer a patient to us, when and if that patient needs home health again, we refer them back to that home health agency instead of to our own. We do this because in order to be successful, CarePoint needs to be a solution for the community and not just for Interim. It is a business and we want to grow our business, but there are so many patients out there that need support. I want to be able to support all the patients that we can whether they are Interim patients or not. CAPC: I’m sure that that philosophy has an impact on whether physicians and other organizations from around the region are willing to refer to you. Bob: Absolutely. If you are providing a quality program by reducing avoidable hospital readmissions, or if you are reducing the frustration of your referrers, they are going to keep referring to you. And your census will grow. CAPC: Is all of CarePoint’s revenue through fee-for-service, are do you have other contracts negotiated as well? Bob: Interim has several ACO agreements, and some of these were started prior to CarePoint. If Interim was already up and running in the community, then we are utilizing CarePoint to improve the outcomes that are being measured. Some are ACOs that are hospital-based; others are smaller ACOs (where there is not always shared savings) in which we are used as a preferred provider (which helps us to increase our census). In all of these arrangements, CarePoint is focused on helping to make sure we are managing the metrics that Interim is being measured on, such as numbers of rehospitalizations. CarePoint is a contributor, but none of the contracts was created specifically for CarePoint. Additionally, I am leading our participation in the Medicare Care Choices Model demonstration project. I’m very interested in doing a comparison study between the demonstration model and CarePoint. CAPC: Do you think that having the CarePoint palliative care program up and running will help Interim better negotiate these payment arrangements? Bob: I think as we develop a little more, yes. I’m doing more research around pulling in quality data metrics to show how we impact communities and patients through the care that we are providing. These data will help us to open the door much wider with ACOs and payers. CAPC: Thank you Bob! Last question: what advice would you give someone starting a new palliative care program in the community? Bob: The number one thing is that a community palliative care program requires planning. If you are getting involved in palliative care, you have to do your due diligence and determine exactly what it is you want to accomplish. It has implications for reimbursement, staffing and organizational integration. And if you don’t do it correctly on the front end, you run the risk of failure on the backside. Assess the strengths and needs of your community’s patients and providers before starting your service. Avoid redundancy of services already provided by others, including home health and hospice. Find service gaps where palliative care is most needed. Having at least one solid community partner for referrals is critical for a new program. Tap into the existing infrastructure (e.g. scheduling, IT, medical records, space) of a hospice or home health agency for easier program startup. Program value may be measured by clinical outcomes, impact on the organization’s other service lines, contribution to ACO or shared-risk outcomes.